Posted on December 3, 2014 at 09:25. Our current keyboard line-up is based on two basic keypad designs: an Industrial Full-Travel Keyboard with an integrated Button Pointer, and an Industrial Short-Travel Keyboard with Touchpad. This month we have been working on our newest edition: a Full-Travel Keyboard with an integrated capacitive Touchpad instead of the standard Button Pointer. 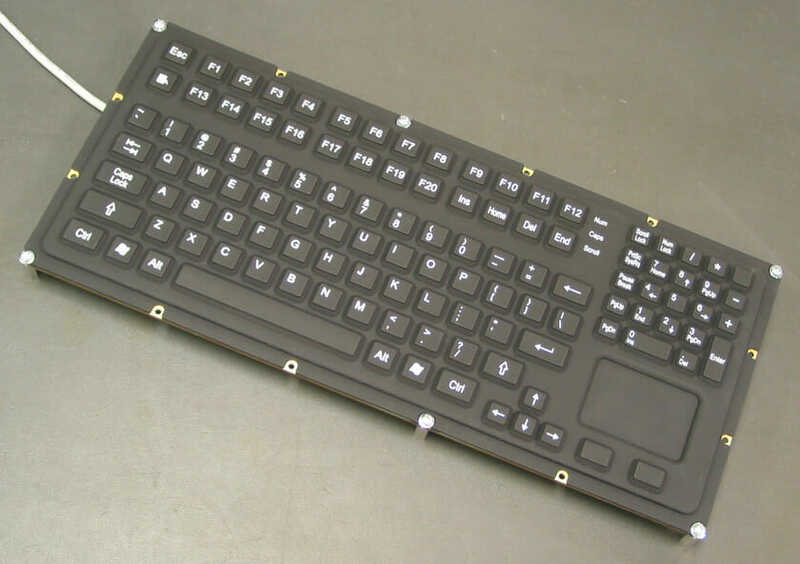 While the Button Pointer is still the best option for users wearing thick gloves (only thin gloves will work with a capacitive touchpad), this new design will give many users the best of both worlds: a fully sealed IP66/NEMA 4X keyboard with an easy-typing full-travel keypad as well as the touchpad that any laptop user is familiar with. We are still putting the finishing touches on this design, but expect a product announcement some time in mid 2015. Example: "15" Panel Mount Touch Screen", "HIS-UM15-SGAH"